Oak is such a commonly used wood in the United States that it could almost be described as ubiquitous. Most of the industry divides oak into two main categories, white oak and red oak. But even when oak is counted as two distinct woods, red oak and white oak have consistently been named among the top five most used woods at the High Point Furniture market each spring and fall. Red and white oak are popularly used for country furniture, Arts and Crafts and Prairie styles. Some purists maintain that white oak, quarter sawn and rift cut, is the best choice for Mission oak furniture because of the color and medullary rays. Red oak is a popular choice for kitchen and bath cabinets, contract furniture, tables, bedroom and dining room furniture and occasional pieces of all kinds. Doors, moulding and trim push its use even higher. 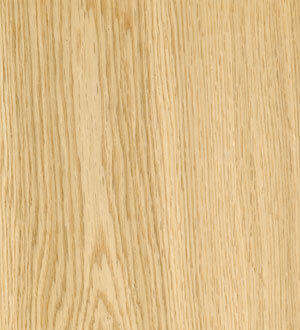 Red oak is also a popular flooring material because it is heavy, hard and stiff and has high shock resistance. Other popular uses for red oak include; interior joinery, plywood, decorative veneers, wall paneling, millwork, boxes, crates, caskets and coffins, agricultural implements, and woodenware. Red oak has almost all the same uses as white oak, except it is not used for tight cooperage since the wood is extremely porous and not water resistant. 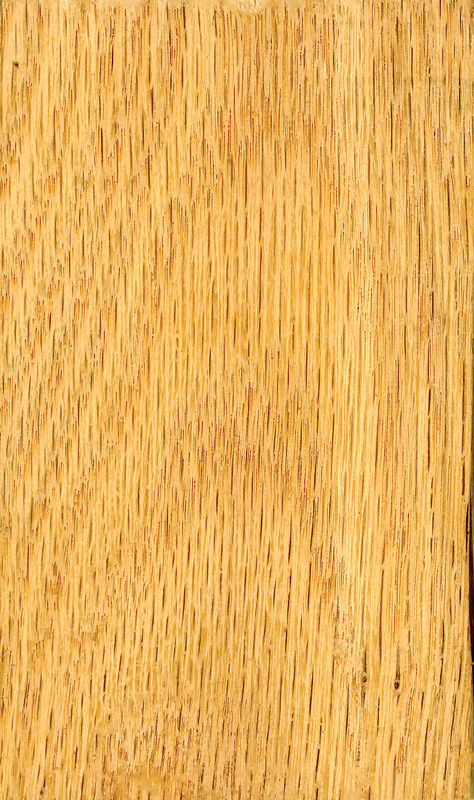 White oak is used more frequently for boat and ship-building than red oak, again for the same reasons. Red oak is considered less resistant to decay than white oak and European oak, which are better suited for items which require a natural durability. But because red oak wood is more permeable, it is easier to treat with preservative treatments than the other oaks. Species of red oak include northern red oak (Quercus rubra); southern red oak and Spanish oak (Quercus falcata); swamp red oak and cherrybark oak (Quercus falcate variation pagodaefolia) and shumard red oak (Quercus shumardii). 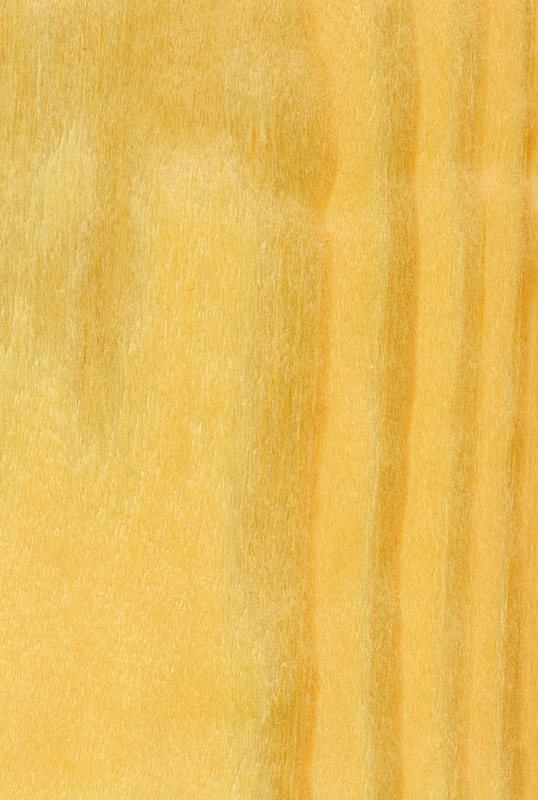 Red oaks have a distinctive red tinge, coarse texture and large open pores. They are said to have smaller rays than white oaks. The growing area can affect the wood; generally, oaks from northern climates are thought to be tighter-grained and more dense than woods growing in the warmer southern climates where wood grows faster because of the weather. Red oak can be stained easily for very attractive finishes. However, since the early wood is considered more porous than the summer wood, it may take more stain than the harder, summer wood. Pore filler may be helpful in obtaining a smooth finish. 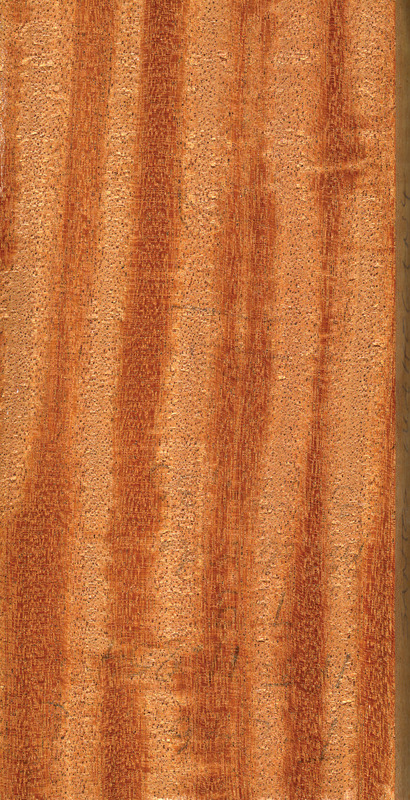 According to the âFine Hardwoods Selectorama,â published by the Fine Hardwoods & Veneer Association, âRed and white oak look very similar when finished and because of its large pores, oak takes a great variety of fine filled or textured finishes.â The Selectorama reports that red oak is found plentifully in the growing range throughout the eastern United States, especially in the Appalachians, Ohio, and Kentucky. Jim Dumas, owner of Certainly Wood Inc., East Aurora, NY, said that red oak produces an anomaly highly figured looksâwhich the wood is not âsupposedâ to be capable of producing. Dumas said he has a collection of unusual wood grains of red oak, white oak and other species. âIt includes birdâs eye red oak, measled red oak and plum pudding oak. The mills who deal in heavy volumes of red oak save the odd-looking grains and I collect them because I cater to a market where âdifferentâ is better.â He added, however, that these anomalies are not available in large quantities. He and others surmise they are the quirks of nature, mutations or genetic mix-ups. âYou expect to see birdâs-eye with maple. You donât expect to see it with white or red oak,â said Dumas. Dumas said that the high-end architectural market favors rift cuts for red oak. âIn our market we sell more rift cut red oak than quartered red and white.â Popular high-end looks for red oak include the comb-grained and button or snowflake figures. Oak is not a toxic wood, but it can emit a pungent smell that some woodworkers find obnoxious due to the high tannin content of the wood. Bark from oak is used to tan leather. Red oak can be steam bent easily because of its medium bending strength, stiffness and high crushing strength. Red oaks are considered above average in all machining categories except for shaping. Average height is 80 feet with diameters of three feet. Average weight is 48 pounds per cubic foot. Red oak dries slowly and has a tendency to split, check and honeycomb so care is needed for air and kiln drying. Working properties will vary based on the density of the wood and growing area; for example, southern, fast growing red oak is considered harder, heavier and more coarse in texture than northern red oak. It has a moderate blunting effect with cutters; experts recommend sharp cutting surfaces and use of carbide-tipped blades and cutter. Pre-boring is recommended for nailing. The wood will finish very well. The heartwood is non durable. It should not be used for exterior uses.